Executive Director SAGE Dr Wafa El-Adhami (third from left) congratulates University of Newcastle Data Analyst Petrina Mosley, Equity and Diversity Manager Rachel Fowell, Pro Vice-Chancellor (Research and Innovation) Professor Deb Hodgson, Vice-Chancellor Professor Alex Zelinsky AO and Director, People & Workforce Strategy Tina Crawford. Announced in Canberra tonight, the University of Newcastle is one of only 15 universities or research institutes nationwide to receive a SAGE Athena SWAN Bronze Award, after a two-year pilot. The Science in Australia Gender Equity (SAGE) initiative, established to pilot the United Kingdom’s Athena SWAN Charter in Australia, aims to improve gender equity and diversity in science, technology, engineering, mathematics and medicine (STEMM) within the Australian higher education and research sector. It is the first time the initiative has been run in Australia. University of Newcastle Pro Vice-Chancellor (Research & Innovation), Professor Deb Hodgson, said the SAGE Athena SWAN Bronze Award was acknowledgment of the University’s commitment to create structural and cultural changes to achieve greater equity and inclusivity. “We feel a great sense of achievement and pride having been recognised by our peers in academia and research,” Professor Hodgson said. “The SAGE journey has been one of deep self-reflection and analysis. The Bronze Award recognises significant effort and commitment, but reversing inequity is the ultimate goal,” Professor Hodgson said. As one of the first Australian universities to pilot the SAGE program, the University created a Self-Assessment Team consisting of academic and professional staff and students. 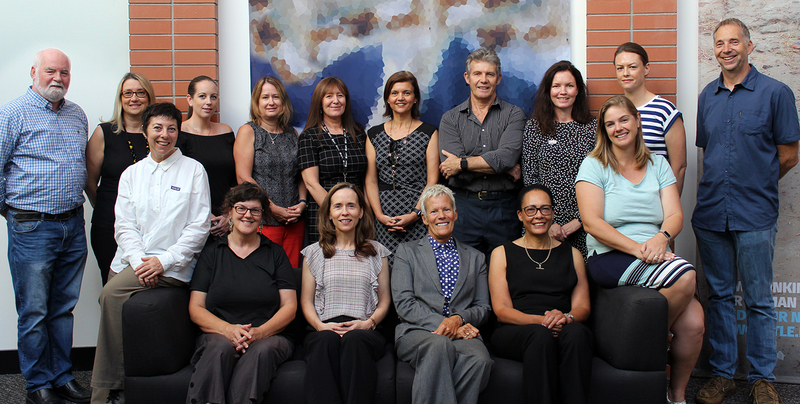 Led by Professor Hodgson and Equity & Diversity Manager Rachel Fowell, the Self-Assessment Team spent two years consulting broadly with academics, staff and students to identify gaps between policy and practice and detect gender and diversity issues within the organisation. The detailed report and four-year action plan to address the issues identified was submitted as part of the application for Bronze Accreditation in March this year. Professor Hodgson said achieving a bronze award, the first level accreditation, was an historic and important milestone in the University’s ongoing journey to achieve gender equity. “We should be proud of the steady progress we are making to create real change. We have more than 80 actions in our four-year plan, such as the establishment of key leadership roles, including the inaugural Women in STEMM Chair and five new Assistant Deans Equity and Diversity roles,” Professor Hodgson said. Other initiatives include the setting of KPIs for STEMM faculties where greatest underrepresentation of women exists; ongoing funding for Women in Research Fellowships; and the engagement of leaders and staff through promotion of the Gender Equality Leadership Pledge. Vice-Chancellor, Professor Alex Zelinsky, AO, said the University’s achievement of a SAGE Athena SWAN Bronze Award was fitting recognition of the drive and determination to investigate and address gender equity and diversity issues. “The significance of this award is profound as it recognises a commitment to being inclusive and equitable – characteristics that are at the core of this institution,” Professor Zelinsky said. Chair of the Expert Advisory Group of the Science in Australia Gender Equity (SAGE) Initiative Elizabeth Broderick AO congratulated all institutions that received a Bronze Award. “The enthusiasm with which the sector has embraced the SAGE Pilot has been exciting to see. It gives me enormous confidence that the sector is elevating the issue of gender equality and taking strong action,” Ms Broderick said.